A few days ago a ‘trackback’ alert popped up on my WordPress app. I nonchalantly clicked on it – not expecting much. Following the link from the trackback I quickly realized it was to the Tofutti Company’s blog. I jumped out of my chair in excitement – since Tofutti is basically my favorite company. The trackback made my day. So, imagine my excitement when the company wrote me an email a little while later asking me to write a guest post on their Tofutti Foodie blog. I was so excited that I had to wait about 15 minutes composing myself before I was able to write back in legible words. With a loud and clear YES! I promised I would create them something super yummy. And I totally think I have. 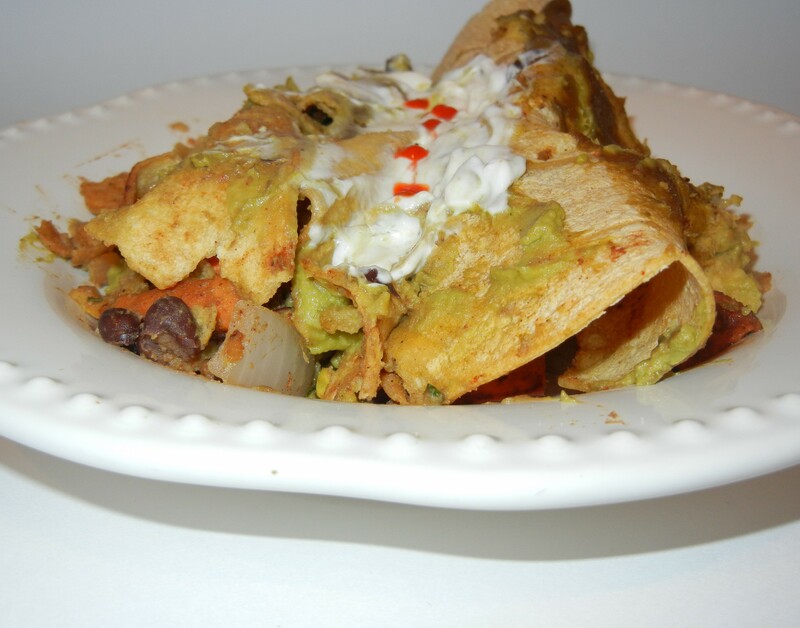 If Guacamole and Enchiladas had a baby, I’m pretty sure this is what it would look like…You can decide for yourself, by heading over to their website to check it out!